Did you know that oil can be a huge help in your beauty routine? 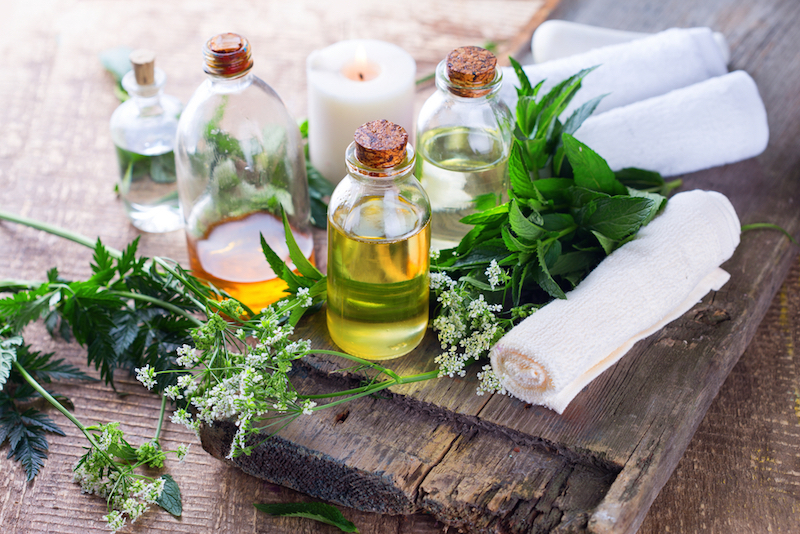 Read on to find out what oils are good for beauty care and nine different ways you can use them! Coconut: Coconut oil has received lots of attention in the last decade due to its high vitamin E content and fatty acids. This powerhouse oil also has antibacterial properties. Avocado: Avocado is a good source of omega-3 fatty acids, which help heal your skin inside and out. Argan: Argan oil is high in vitamin E and essential fatty acids. This makes it good for your hair, skin and those winter-worn nail beds. Jojoba: The key to jojoba is that it is chemically similar to human sebum, our own natural oil that we produce. Using it helps your body balance its own oil production. Olive: Olives are antioxidant-rich and loaded with vitamins A and E. This makes it a natural anti-aging miracle oil. Sesame: Sesame oil is a potent antibacterial agent, and works well for soothing skin irritation and sunburns. A thin layer of oil on your freshly washed face can work wonders for your skin. It will moisturize purely, without chemicals or artificial ingredients. Oil is the perfect lightweight moisturizer for your entire body. It typically absorbs within a few minutes, but stays deep in your skin for hours. Many different oils have delightful fragrances that can give your skin an extra boost throughout the day. Oil has been my favorite makeup remover for years and I bet it will be yours, too. Just a drop can remove all of your day-to-day makeup without stripping your skin of essential moisture. It even works on waterproof mascara! Natural oil is less harsh if it gets in the eye compared to store bought makeup removers. Oil can serve as an incredible deep conditioner for your hair. I like to put about a teaspoon onto the ends of my hair before I shower and then wash my hair normally. You can also drench your head in oil and leave it in for ten minutes for an intense conditioning session. However, save that for the weekend when you have plenty of time to wash it out. Eye creams are expensive and have a quick turnover rate. Oil can help prevent fine lines and wrinkles around the eyes with only a teaspoon. It is more effective, lasts longer, and is a whole lot cheaper. For silky skin after a shave, try using oil as your own natural shaving cream. It will protect the skin while you shave and keep the deeper layers of skin moisturized. Dab some oil on your lips for a lip balm that gives you the silky feel you want while also moisturizing deeply for a long lasting effect. Just a dab of oil on frizzy hair can help smooth it down tremendously. The best part is that the oil will stay with your hair for the entire day, making it the most effective anti-frizz treatment you’ve ever used. Be careful though, you don’t want to overdo it and look greasy. Oil can help soothe irritated skin, smooth dry patches, prevent fine lines and wrinkles, and even help heal certain conditions such as eczema and psoriasis. Using oil on scars can also help them heal more completely. In the same way, oil can help prevent and lighten stretch marks. There you have it! Amazing oils and nine ways you can use them in your beauty routine. Give them a try and let us know what works best for you in the comments below! Eyebrow Tattoos: Are They worth It?